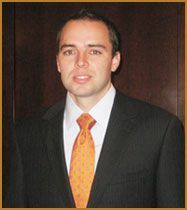 LAS VEGAS – Kolesar & Leatham, a Las Vegas-based business law firm, recently hired Bart K. Larsen as an attorney. Larsen practices mainly in the areas of commercial litigation and bankruptcy where he focuses on the resolution of business, construction and real estate disputes. With extensive experience in litigating landlord-tenant issues and mechanic’s lien claims, Larsen has worked with local and national clients since being admitted to the State Bar of Nevada in 2003. Larsen graduated from Utah State University in 2000 and obtained his Juris Doctorate in 2003 from the J. Reuben Clark Law School at Brigham Young University. Along with his membership to the State Bar of Nevada, Larsen is admitted to practice before the United States District Court for the District of Nevada and all Nevada State Courts. Founded in 1986, Kolesar & Leatham is a business-based law firm practicing in the areas of banking, bankruptcy, real property, business and corporate law, commercial litigation, and tax and tax litigation. The firm’s practice includes representation of clients at local, national and international levels. For more information on Kolesar & Leatham call 702-362-7800 or visit www.klnevada.com.